Here’s a tweet from the California Highway Patrol, Contra Costa Area. Jon Gruden, now the head coach of the Oakland Raiders, is a man who looks a little bit like Chucky, the evil doll from Child’s Play, and, hence, has been called Chucky for pretty much his entire career. 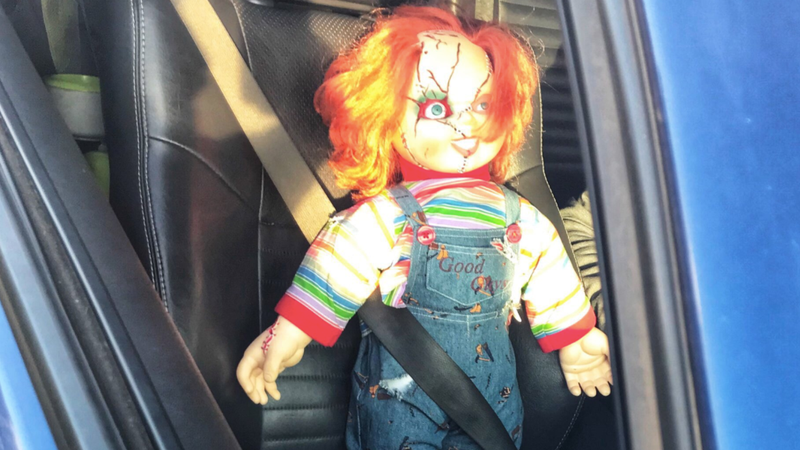 It’s unclear if the driver knows of this connection and is also in on the joke or, simply, had no other doll options. And while Carpool-lane drivers attempting to fool police officers is nothing new, this one stuck out to me for both its lack of ingenuity and, of course, the cop humor. Cop humor! A variant of dad humor, but for crime. I give this one a 6 out of 10.